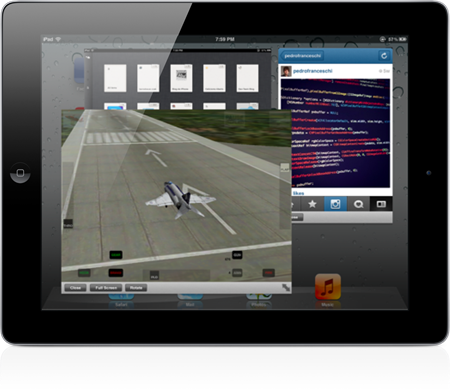 Although iOS 4 brought a multitasking experience to iOS per se, it’s not exactly the most functional, and the fact that only one app can be viewed at any given time is much to the annoyance of many iDevice users, particularly those rocking the 9.7-inch display of the iPad. A couple of days ago, we featured a tweak called Quasar, which, for $9.99, offers the full-on multitasking experience complete with floating panes prevalent in Windows and OS X. Weighing in at the higher end of the Cydia price scale at $9.99, it’s probably one that you’ll want to see in grave detail before parting with your cash for. Luckily, Redmond Pie’s own Steven Chi has installed Quasar on his iPad, and has given the tweak on everybody’s lips the hands-on treatment. Considering there hasn’t really been any such tweak or app available in the past, the level to which Quasar appears to be polished is nothing short of remarkable. Windows can easily be rotated with a simple touch, for example, something which isn’t achievable usually unless one tilts the device. Although multitasking isn’t a necessity at all times, there still remain plenty of occasions where having two or more panes open simultaneously could be of benefit. For example, when browsing, you may wish to copy down a phone number or an important note, and while on most occasions Safari can copy/paste with little fuss, there are times when the text is protected, thus the rigmarole of opening your notepad app and constantly flitting back and forth becomes the only option. As you can see throughout the demonstration, Quasar is just so smooth, and definitely points in the direction Apple should be headed if it wants consumers to make the most out of the iPad. 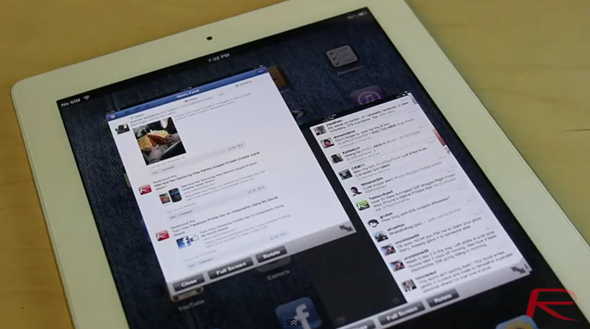 With Mountain Lion well documented to be incorporating much of iOS, let’s hope the motif works in reverse, and Tim Cook’s company brings a similar experience with iOS 6. There are only a handful of apps and tweaks over at the Cydia Store costing $9.99 or thereabouts, although in my experience, there’s good reason and justification for each. BiteSMS is another Cydia export with a high price tag, but once you become acquainted with it, the stock Messages app becomes a distant memory, and I have a sneaking suspicion that this may be the case once again with Quasar.